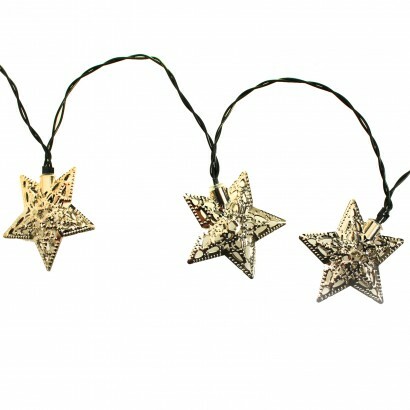 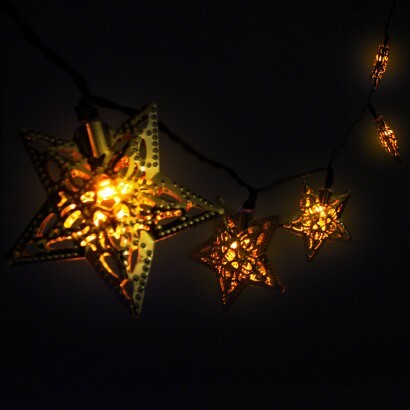 Lit by warm white LEDs, these solar powered star string lights add sparkle to your garden enhancing the glow with their highly polished metal shades. 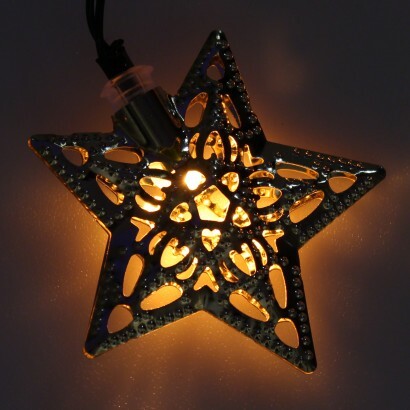 The pretty filigree design allows the light to shine through casting delicate patterns onto surrounding surfaces to make enchanting garden lighting. 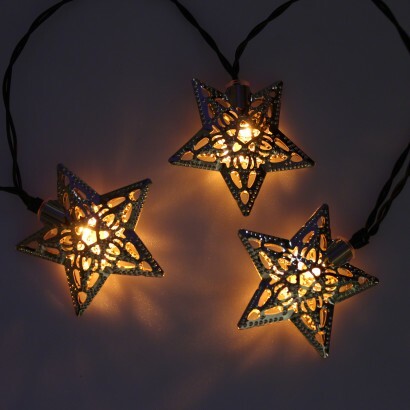 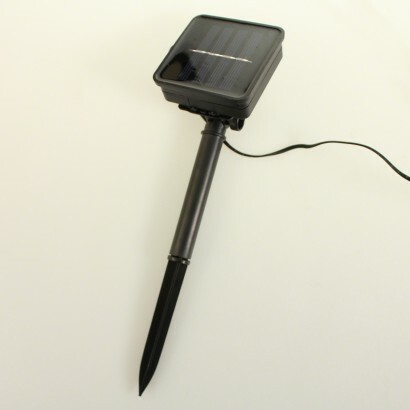 Solar powered, decorate trellises, trees, shrubs and more with these enchanting lights and place the solar panel where it will receive maximum exposure to sunlight, the lights will then sense darkness to automatically switch on at night bringing your garden to life with a magical glow.